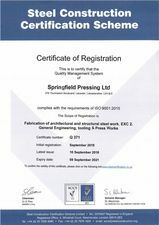 We've recently acquired a new certification which could get us a lot of work in structural engineering, along with renewing our ISO 9001. 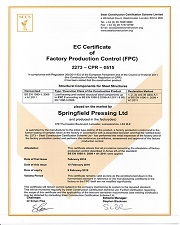 Click here to download our ISO 9001 2015 certificate. 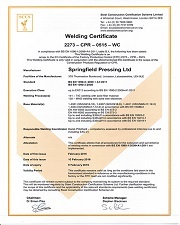 Click here to download our CE Certificates.